Imagine a student who performs well in class. She makes 100 percent on her first exam. However, a school rule requires her to improve her performance on each test for the rest of the year. If she doesn’t, the school will print “Failing” on her report card. That is the situation some schools find themselves in under the federal No Child Left Behind Act (NCLB). Yesterday, the Kansas State Board of Education heard an update on plans to apply for a federal waiver of NCLB requirements. To obtain a waiver, states must devise their own methods of evaluating student achievement and progress. The question is how to determine the most needy schools. Under NCLB, schools are classified as failing based on Adequate Yearly Progress (AYP), which is the performance of students on an annual state standardized test. Most agree with the intent of the No Child Left Behind (NCLB) Act, which is to narrow achievement gaps between advantaged and disadvantaged public school students. However, the goal of 100 percent proficiency on state standardized tests by 2014 appears to be unrealistic. Because Congress is overdue on reauthorizing NCLB, U.S. Department of Education Secretary Arne Duncan has said states may apply for waivers. The application deadline Missouri is targeting is February 21. In order to obtain a waiver, Kansas must identify its poorest-performing schools. Instead of identifying these schools solely on their AYP scores, Foster told the state board of education the state would like to assess schools based on a Multiple Measures Index. Every school would have access to this data, but federal funding would be jeopardized for only the poorest-performing 5 percent. In order to identify that 5 percent, KSDE would like to look more than a one-dimensional AYP score. The department would also like to look at trends in student achievement over a four-year period. For example, under the current system, a school with a majority of students who are not proficient in reading or math would be labeled as failing. Under Kansas’ proposed system, if many of these students were making good progress toward proficiency, the school might not be penalized. KSDE would also like to track student progress in more than just reading and math. Foster told the board the department would like to look at student knowledge of other subjects such as government, science and writing. 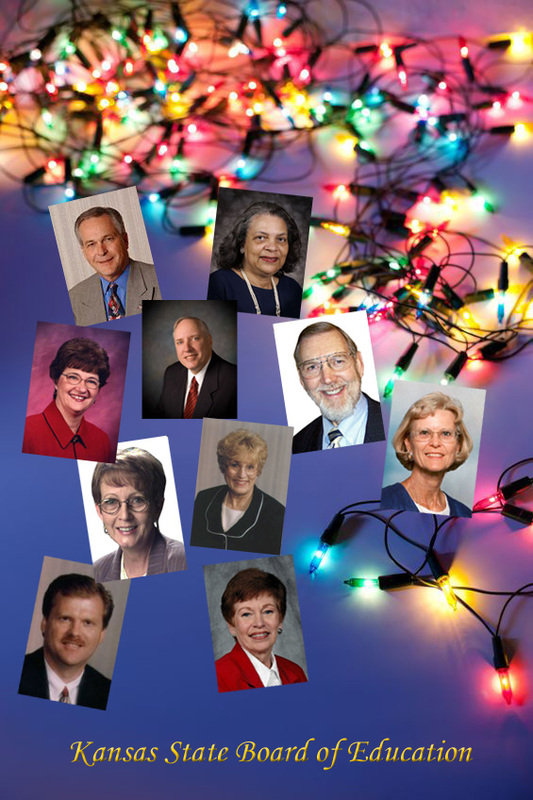 The Kansas State Board of Education is meeting this week, December 13-14, in Topeka.